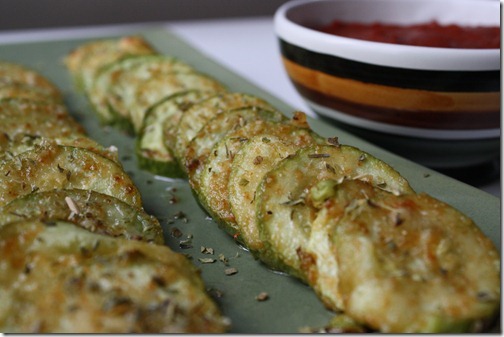 I never ate zucchini very much at all until I moved to Turkey. 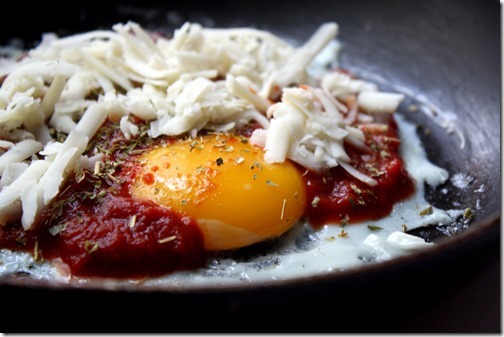 It’s such a fixture in the Turkish diet that I now eat it almost every day. 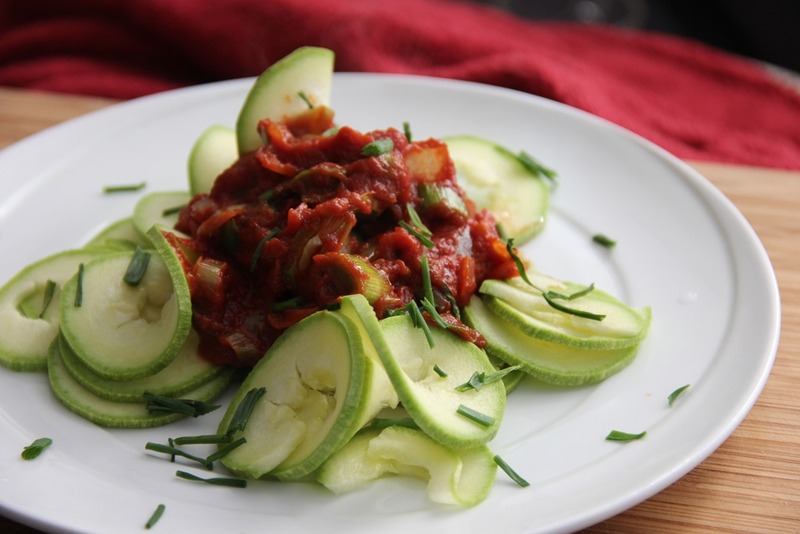 In addition to being able to be eaten raw in salads, spirilized into a pasta, or soaked in a citrus sauce, zucchini is relatively mild in flavor and is thus very versatile in the kitchen when cooked. 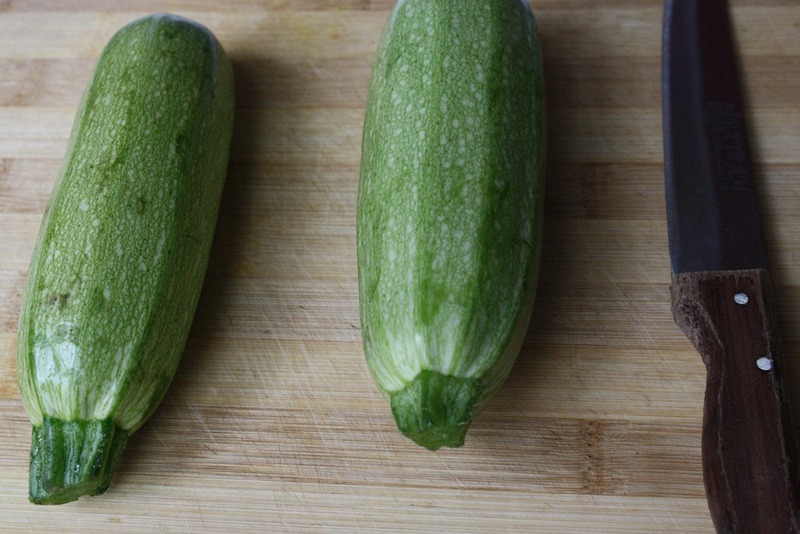 Baked, fried, boiled in a soup, or broiled, it’s hard to get bored of this vegetable. 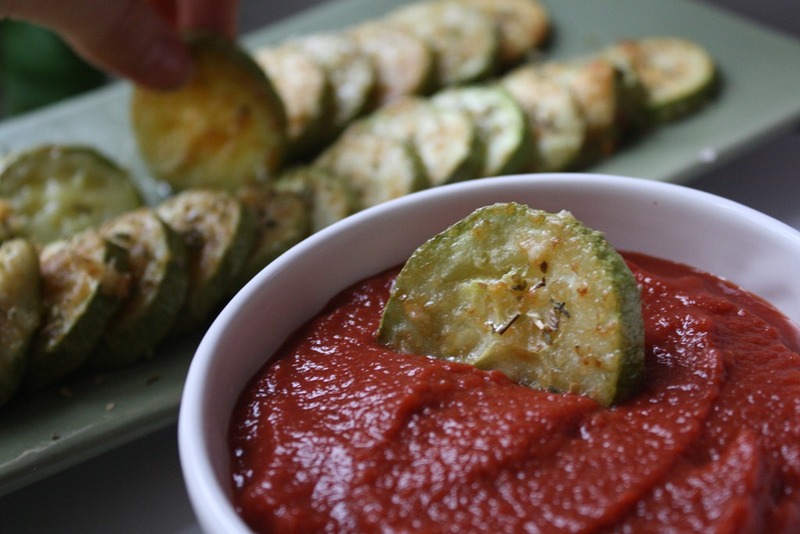 It pairs well with mostly everything! 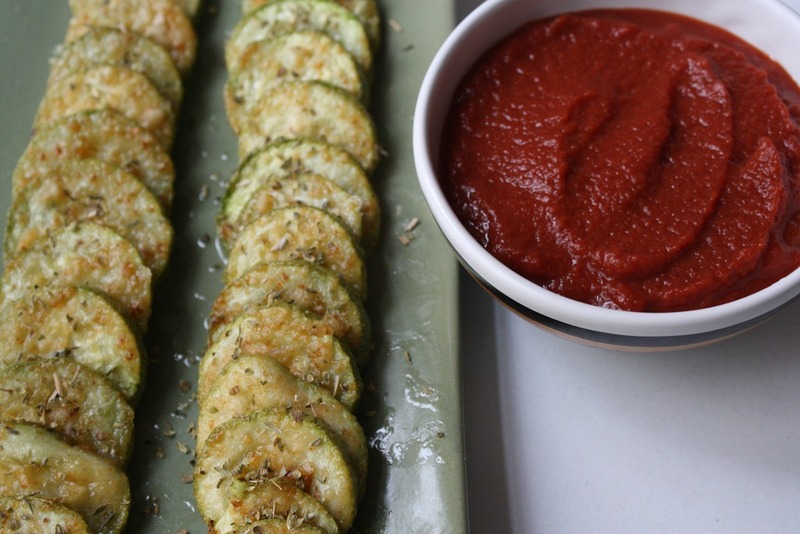 This recipe uses Parmesan cheese and oregano to season the zucchini and tomato sauce for serving in order to satisfy a pizza craving, without the bread, bulk and guilt. 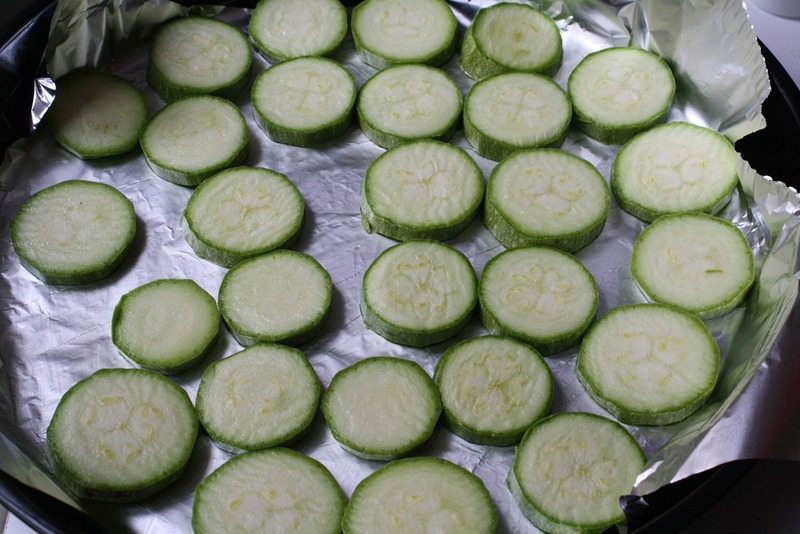 A pizza snack. There are so many reasons why this dish glows. 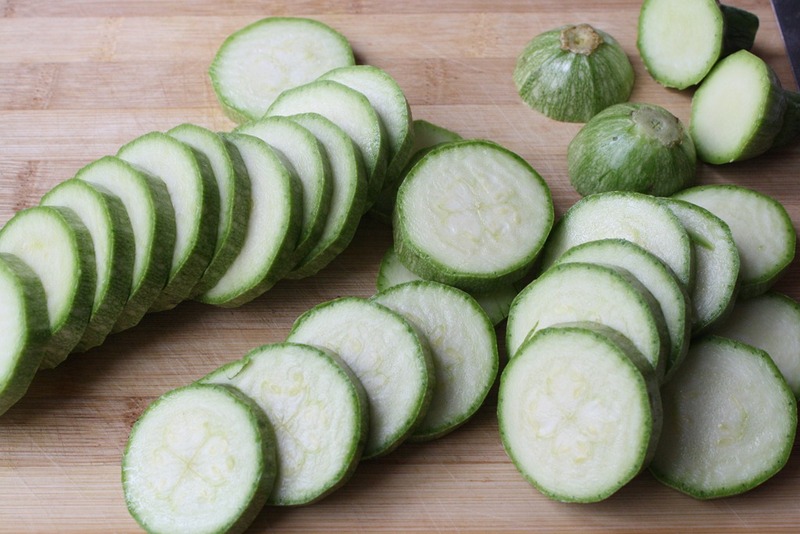 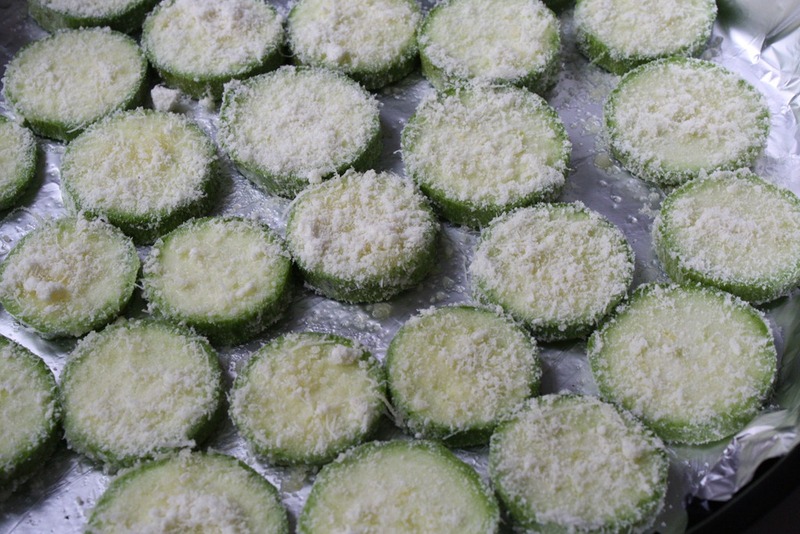 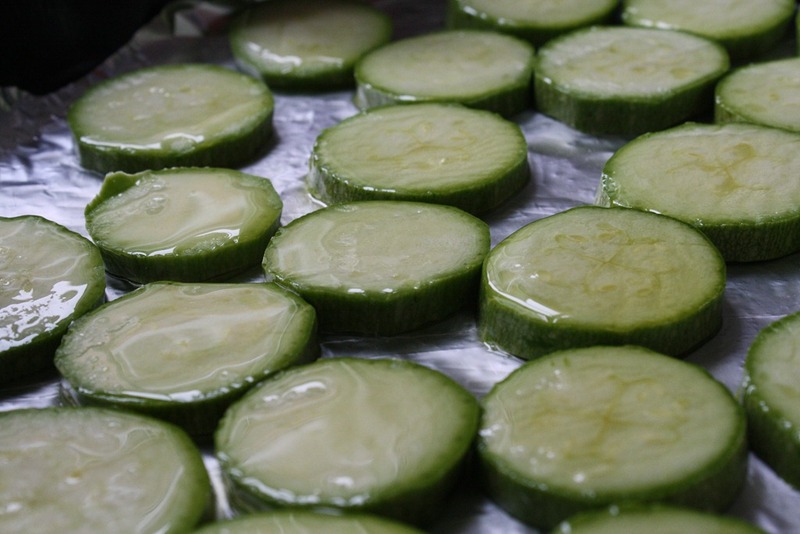 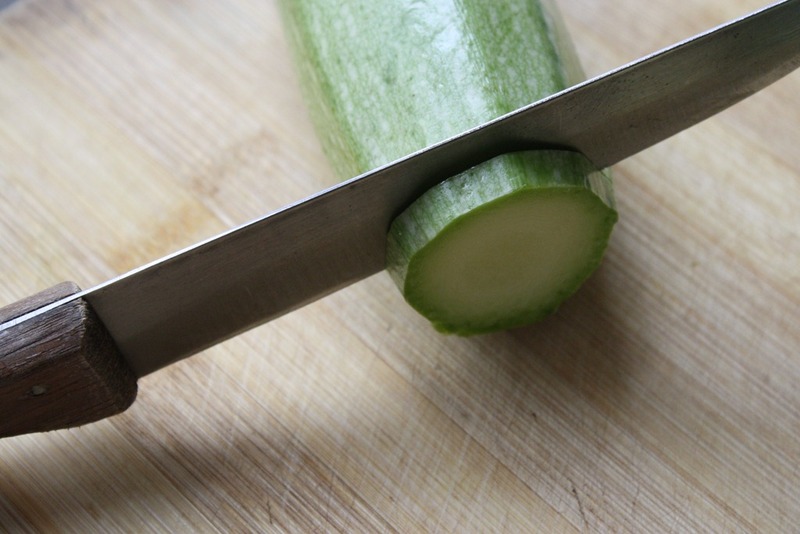 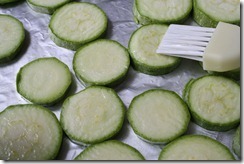 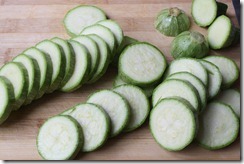 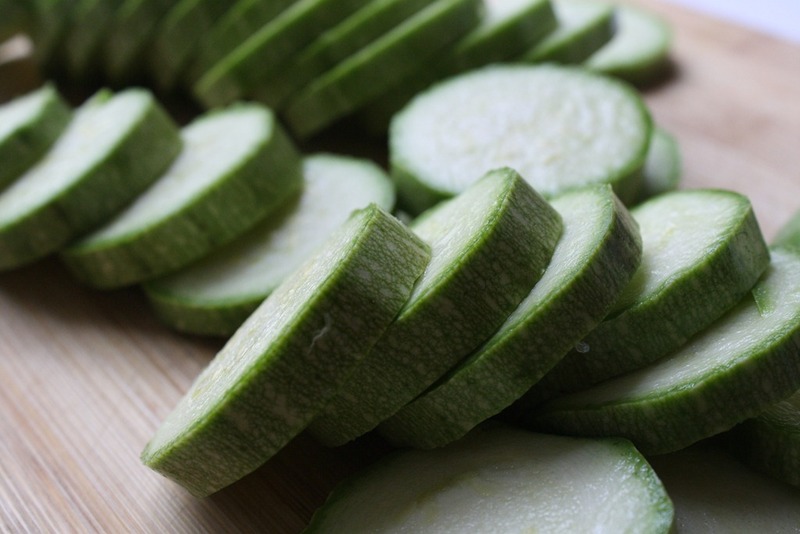 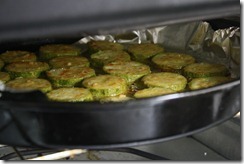 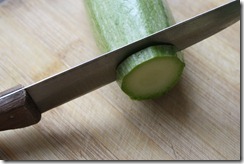 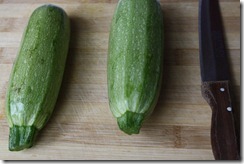 Begin by slicing the zucchini width-wise into 1/4-inch-thick disks. 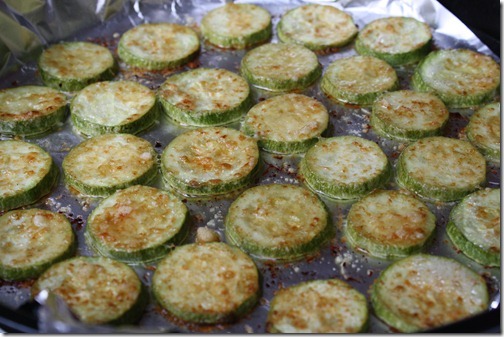 Place on a baking sheet covered with extra-virgin olive oil. 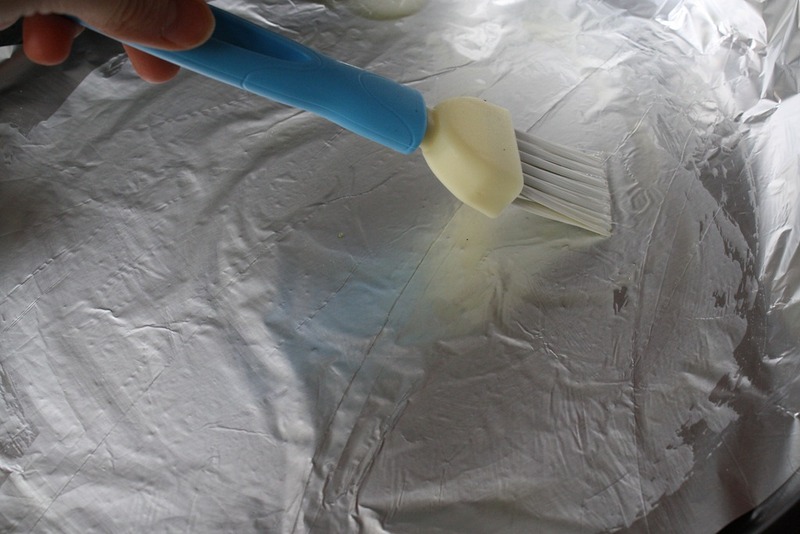 Brush the exposed sides of the disks with oil so that both sides are evenly covered. 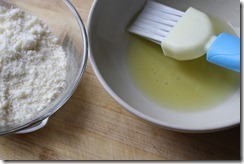 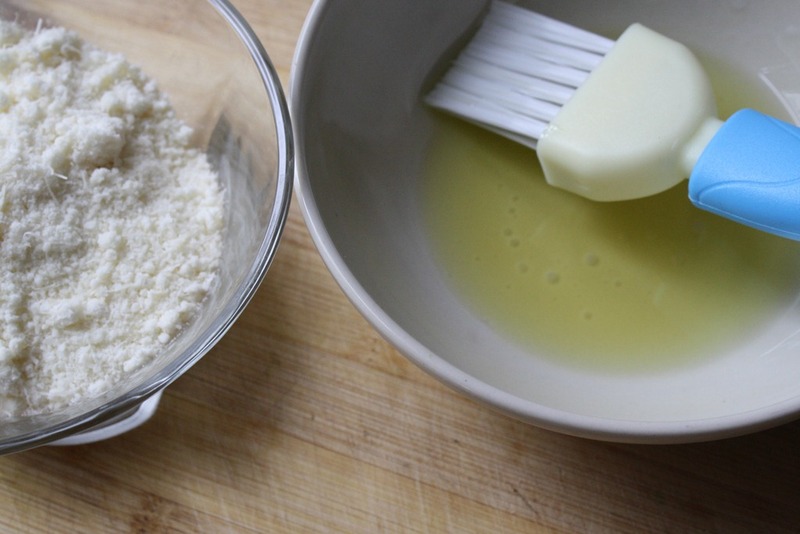 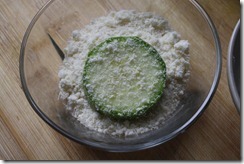 The olive oil will help the Parmesan cheese to stick to the surface. 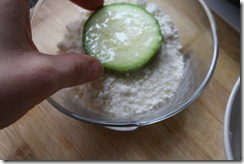 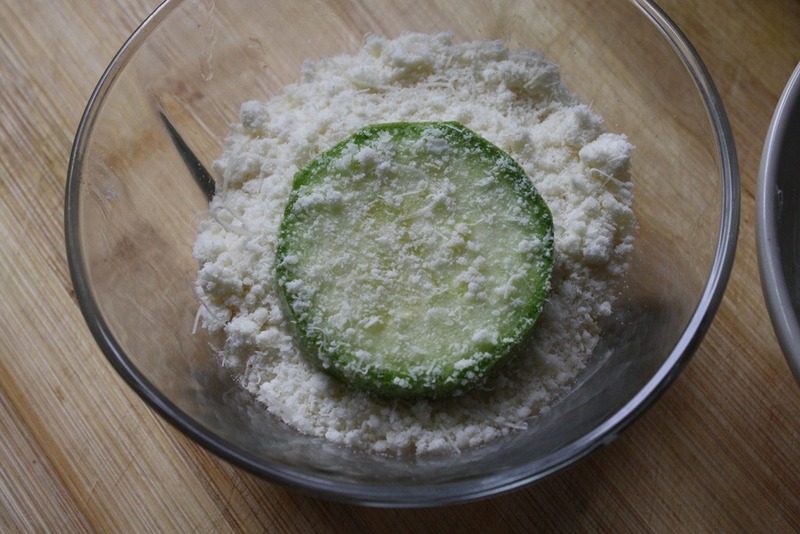 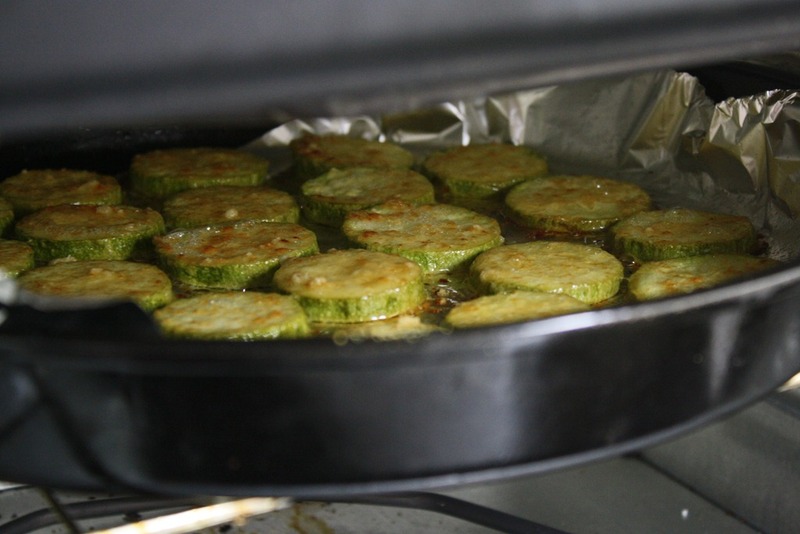 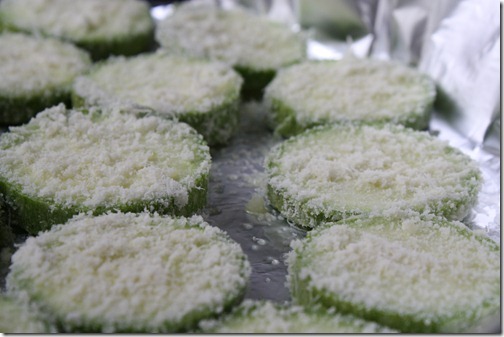 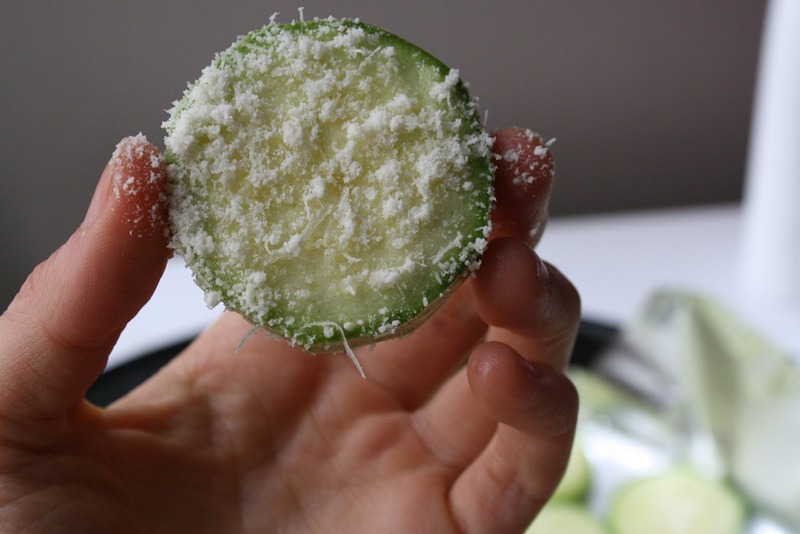 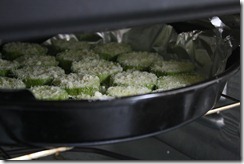 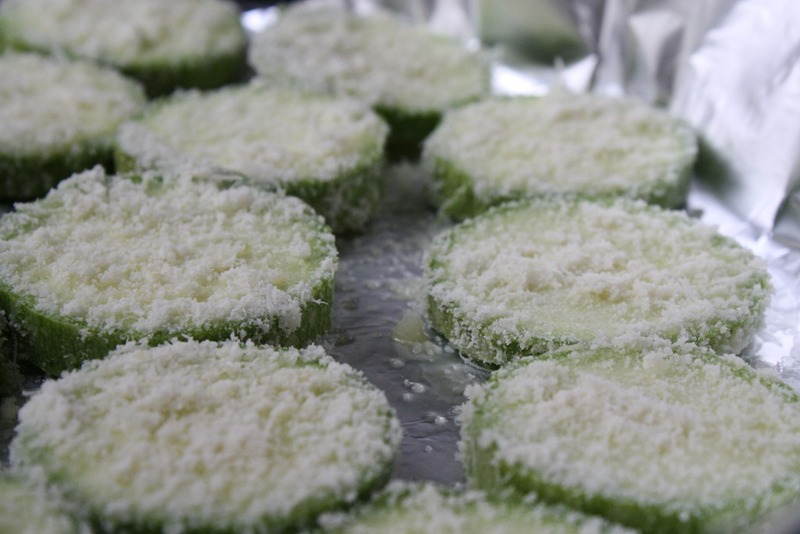 In a small bowl filled with the Parmesan cheese, press both sides of the zucchini so that each has a thin layer of flakes. 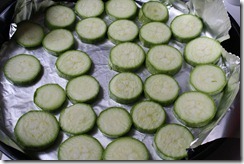 Repeat this for each disk, one at a time, and place them back on the baking sheet. 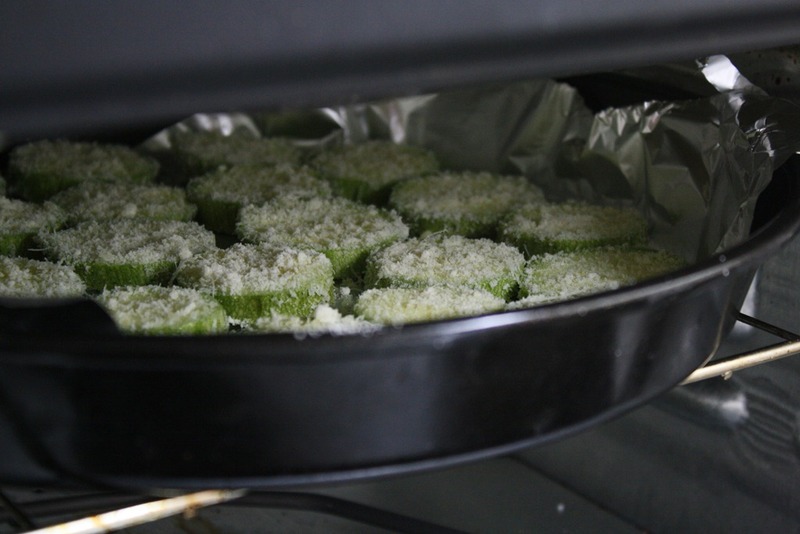 Bake in the oven at 400 degrees Fahrenheit for approximately 20-25 minutes, or until the Parmesan has melted and browned to a near crisp. 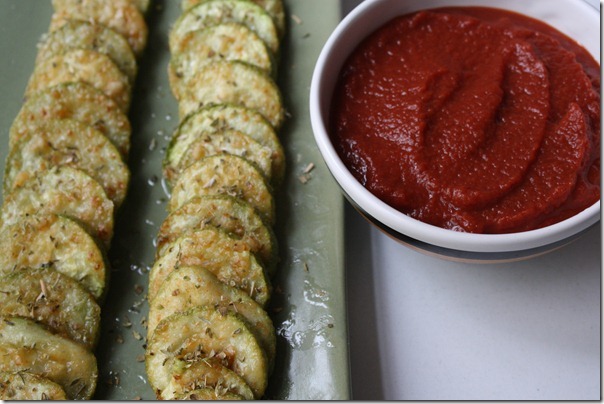 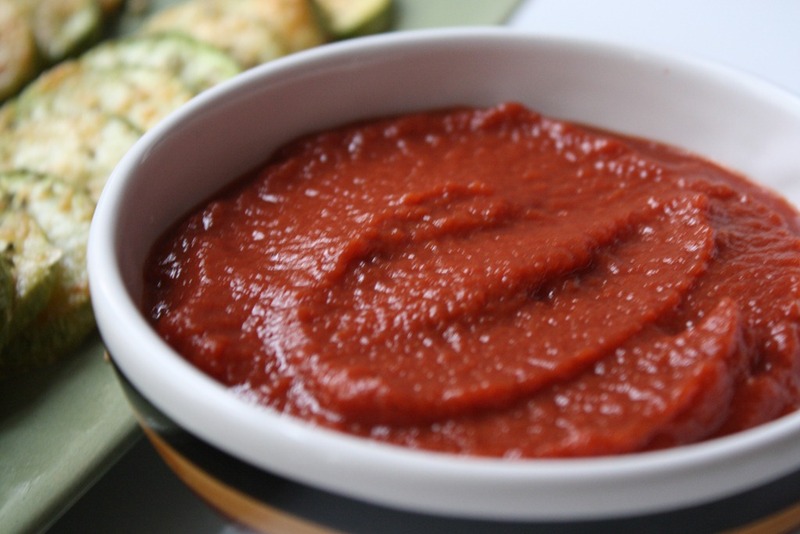 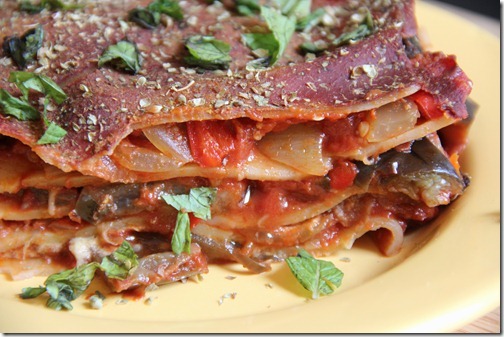 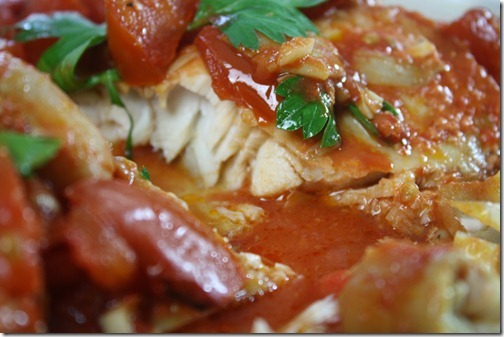 Season with oregano, salt and pepper while still hot and serve with your favorite warmed-up tomato sauce for dipping.